In this Interactive Teaser we give you a small taste of what a video game set in the Puppet Master universe would be like. In this teaser you play as Blade; the most iconic of the Puppets. As Blade you can explore the workshop from Puppet Master 2 and locate the other puppets. Once you do you will be treated with a little something special. We hope you enjoy! I've been getting a lot a emails lately about the Puppet Master video game project so I thought I'd shine some light on whats going on. So we've been talking with Full Moon Features about makings this game official, and getting their support to make it happen. Which involves October Games acquiring the rights to the Puppet Master movie licence. We even have had numerous meetings with Charles Band himself, and from what we can tell he loved the project and wants to do it. The only problem is that we under estimated how long acquiring legal rights can take. Full Moon has been great and even supplied us with a few reference materials so I feel confident that this is still going to happen. I just don't know when. I just wanted all of you to know that the project isn't dead and we are still working! On that note, during this pause we have been working very hard on another project that we are very excited about. One that we hope you all can enjoy and tide you over until Puppet Master becomes a reality. The working Title is "Horror Legends" a Halloween themed multiplayer survival horror game. I posted a few early images of the game on our facebook page if you are interested in checking them out. Thanks to you all for sticking around. Puppet Master: The Game - Whats with the delay!? A little update from October Games. Involving the future of Puppet Master:The Game and social media. We gone through some changes in the past month. I want to go over them with you guys let you know what to expect from the game. 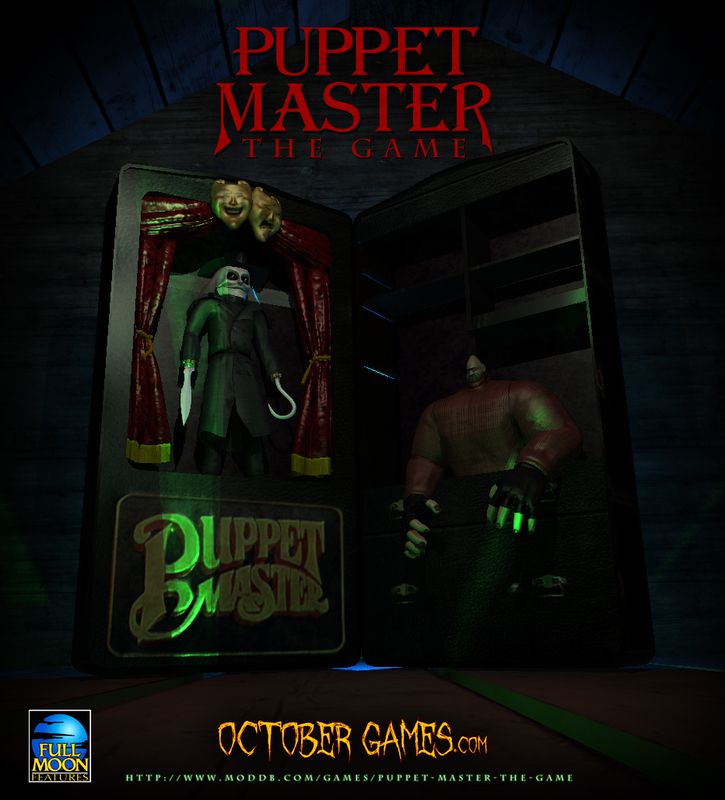 October Games is looking for a dedicated programmer to help with the puppet master game project. In this Interactive Teaser we give you a small taste of what a video game set in the Puppet Master universe would be like. what you described is like 3 times more content then the game thus far ;) I appreciate the enthusiasm though! Could You Put This Game On Steam? Hello !! I would like to know when there will be six shooter or totems ?? Leech woman already out 5 or 6 months ago and six shooter or totems when they will be in the game ?? When six shooter or totems come out in the game ?? A question when it will be 0.4 and there will be 0.5?